cadets and suited men on porch. RPPC. Private Collection. 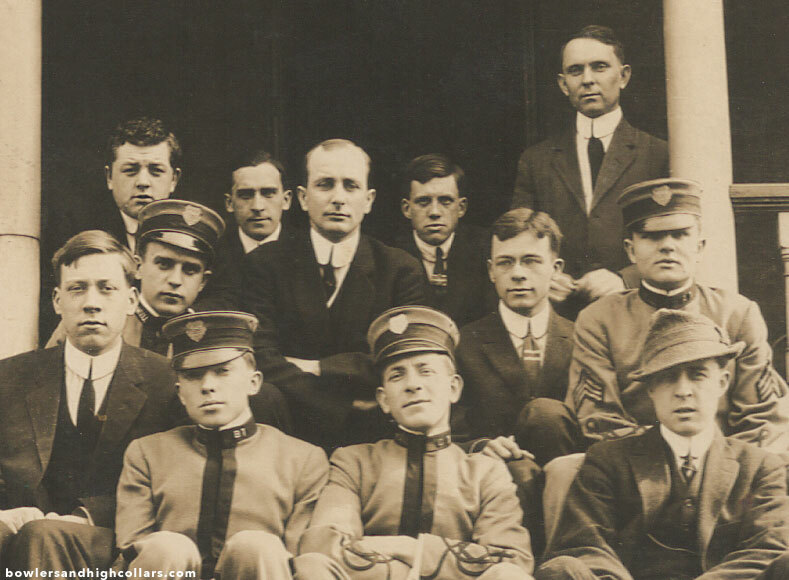 These American military school cadets are sitting on the steps of a (fraternity house?) 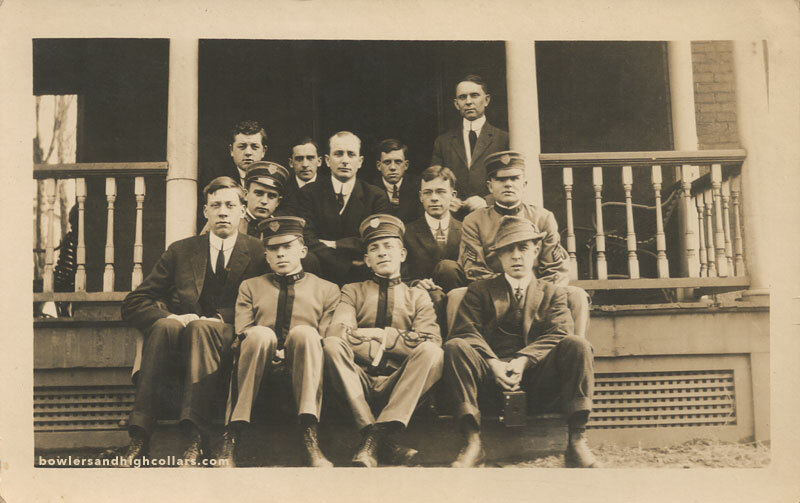 front porch with other men, young and older, in civilian suits. I wonder who they were and what they were to each other. The man to the far right is holding a box camera with both hands. This entry was posted on Saturday, May 23rd, 2015 at 7:48 am	and tagged with 1900s-1910s, cadets, uniform and posted in Groups, Military, RPPCs. You can follow any responses to this entry through the RSS 2.0 feed.